for their new breakfast just launched this month! CRAVE West End breakfast and brunch launched on Saturday, April 11 with dining available on Saturdays and Sundays between 8am-2pm. 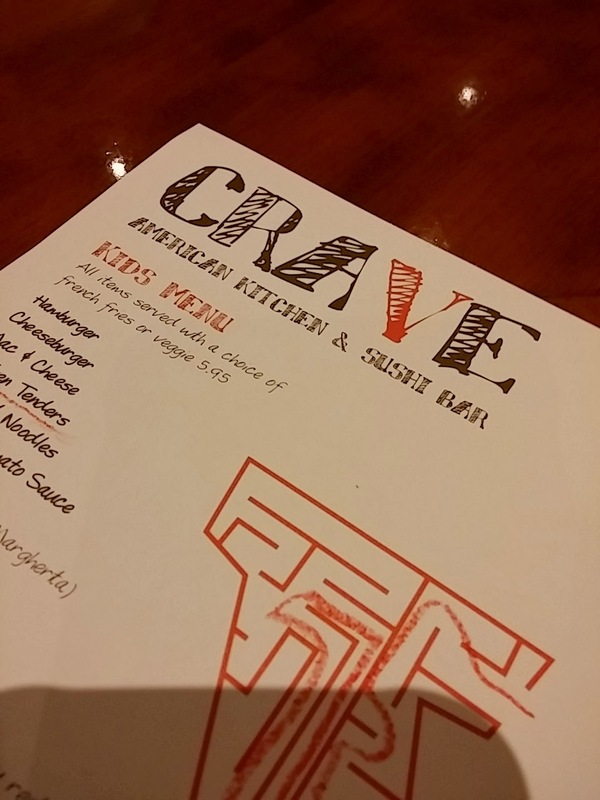 CRAVE’s team of five executive chefs created the all-new menu offerings. 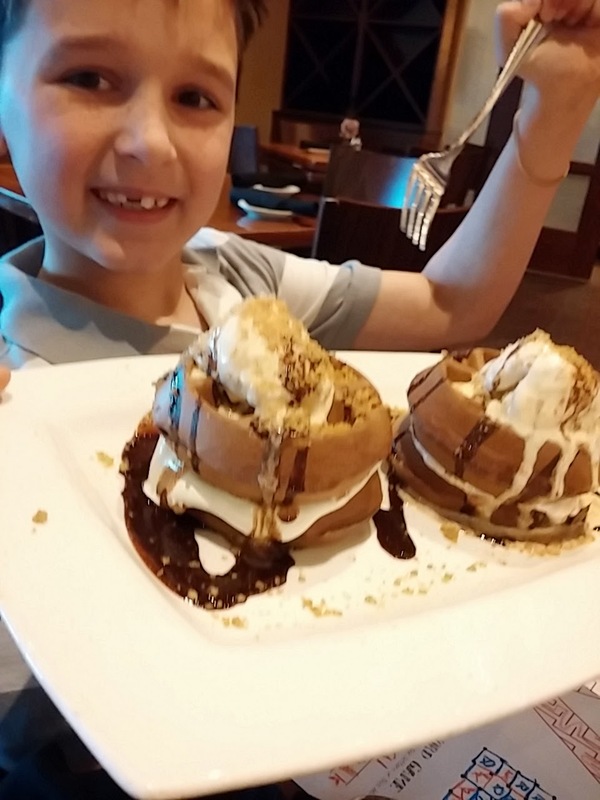 Signature items include Crab & Shrimp Cake Benedict, Braised Short Rib Hash, and the CRAVE Stack of buttermilk pancakes layered with brandied peaches and apples, and S’mores Waffles. We each chose something different, and enjoyed sharing and trying a wide variety of things. They were rich, but not as rich as they look. The chocolate waffles were so light and airy! She doesn't like to stray too far from the usual script. She was all over this instead! 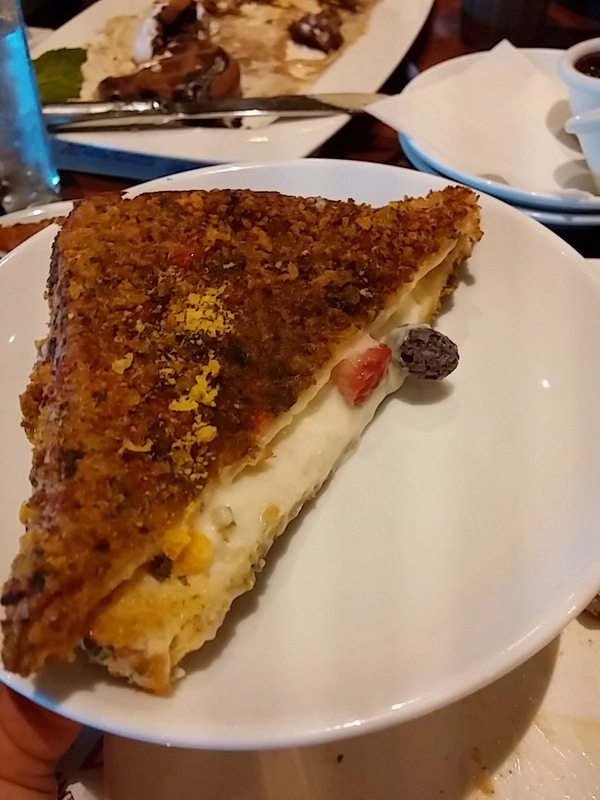 Cap'n Crunch Crunchberries on the outsides, strawberries and cream on the inside! 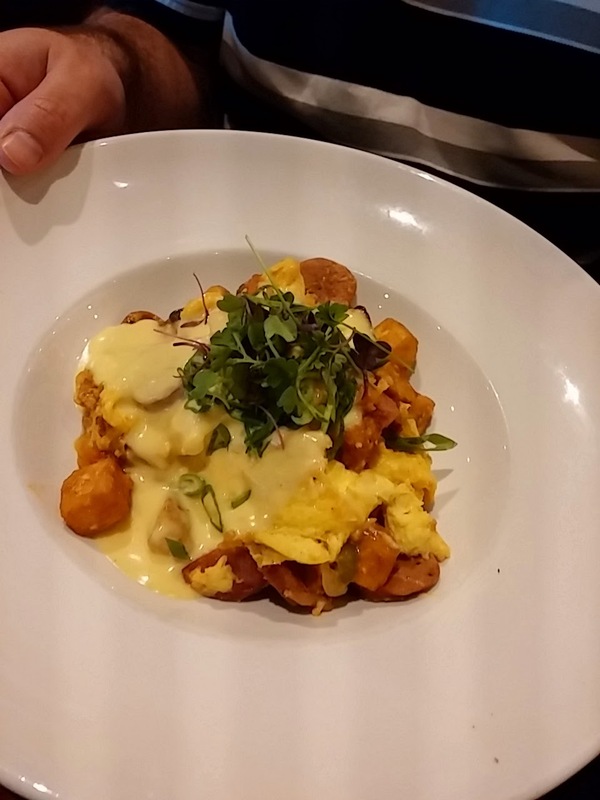 Sausage, Breakfast Potatoes, Onions, Peppers, Creole Sauce, Scrambled Eggs and Hollandaise. This was another great choice. Why doesn't my cooking at home taste like this? 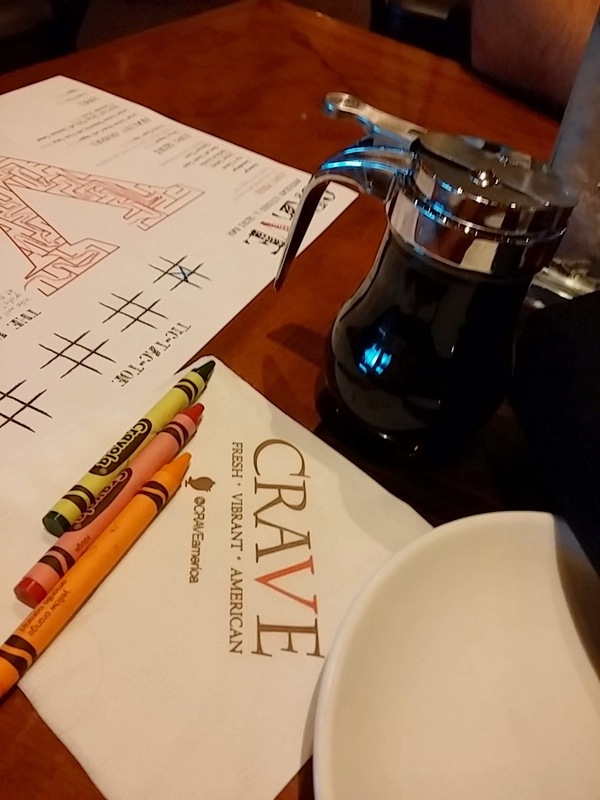 What would you get for breakfast at Crave? Well, the fine folks at Crave would like to find out, by offering one lucky reader a gift card for breakfast or brunch! 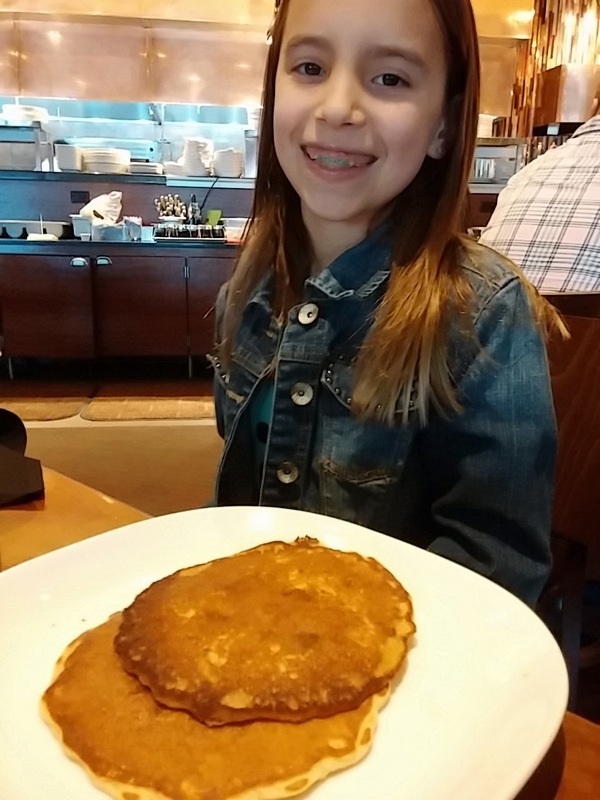 MINNEAPOLIS, Minn., (April 1, 2015) – Kaskaid Hospitality is launching a new breakfast and brunch program at select restaurants in the Twin Cities. The breakfast and brunch offerings will be available at CRAVE West End, UNION Rooftop and Salsa A La Salsa Uptown starting in spring 2015. Brunch is now available at the Salsa A La Salsa Uptown location. Breakfast is served Saturdays and Sundays between 10am-3pm. Authentic Mexican menu offerings include Chilaquiles, Southwestern Omelet, tortilla casserole, Huevos con Chorizo with home made chorizo, and the Bloody Maria which is a Mexican take on the Bloody Mary. The breakfast and brunch menus for CRAVE West End, UNION Rooftop and Salsa A La Salsa Uptown are available online through each restaurant’s website. For more information on the CRAVE Easter Brunch, visit craveamerica.com/grand-easter-brunch-buffet. Kaskaid Hospitality is owned and operated in the Minneapolis-St. Paul metro area with current ownership of seven dining and entertainment facilities in the Twin Cities, which includes CRAVE Restaurant (Downtown Minneapolis, Shops at West End, Galleria of Edina and Mall of America), UNION Rooftop and Workshop at UNION, REV Ultra Lounge, Muse Event Center, Salsa A La Salsa Mexican Grill – Uptown, Urban Eatery and BLVD Kitchen & Bar. 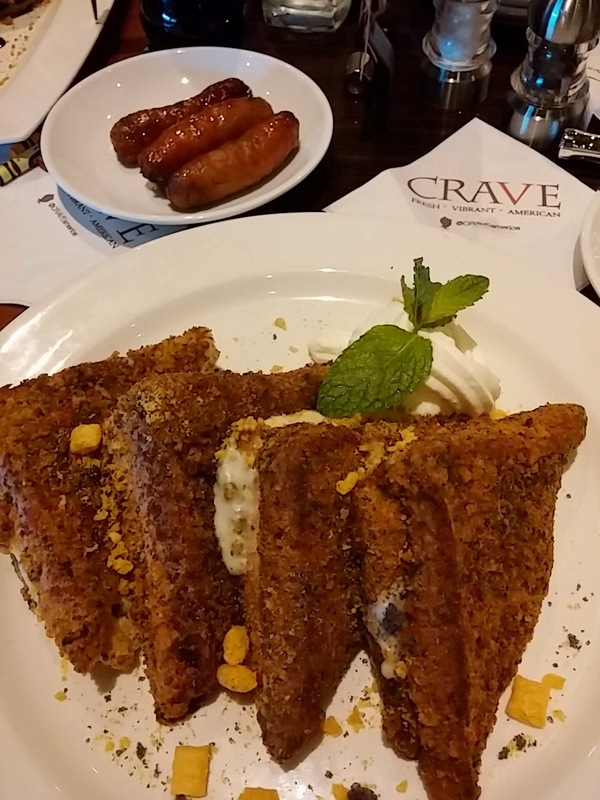 In addition to the CRAVE restaurant locations in Minnesota, Kaskaid Hospitality also owns and operates six CRAVE locations nationally in Coral Gables, Fla.; Omaha, Neb. ; Cincinnati, Ohio; Austin, Texas; Bethesda, Md. ; and Las Vegas, Nev. 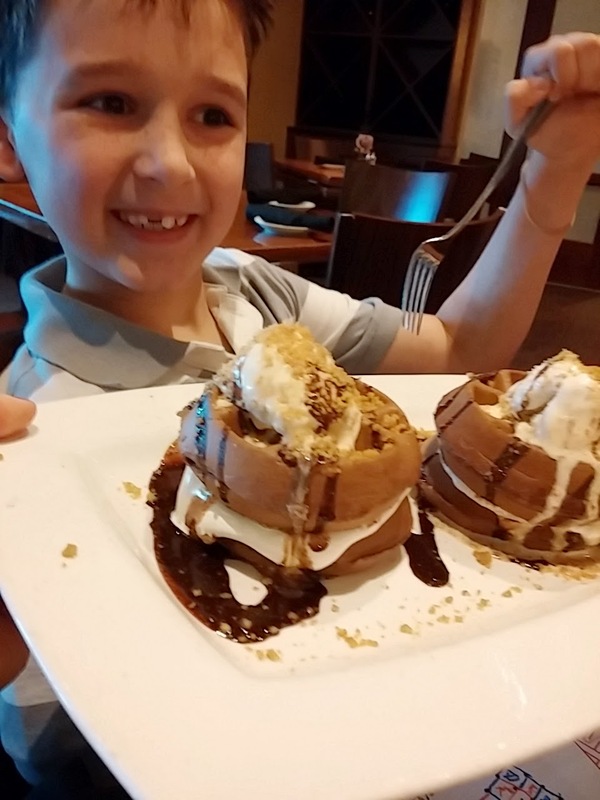 I'd be all over the s'more waffles- they look amazing! Love the twists on classics. That French toast looks amazing! The lemon blueberry stuffed french toast looks delish! I'd have to go for the red velvet pancakes, they look delicious! 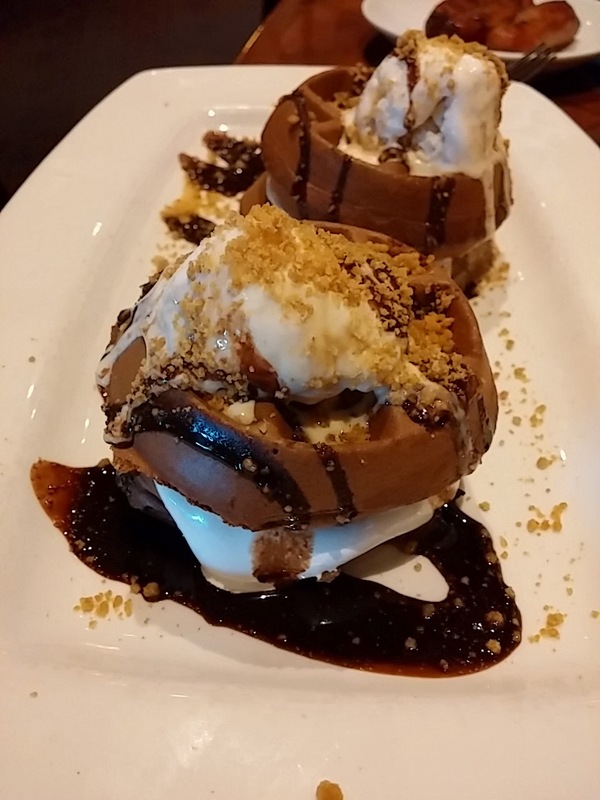 The s'more waffles look amazing! The French toast looks amazing! The stack of buttermilk pancakes layered with brandied peaches and apples sounds awesome! I love strawberries! 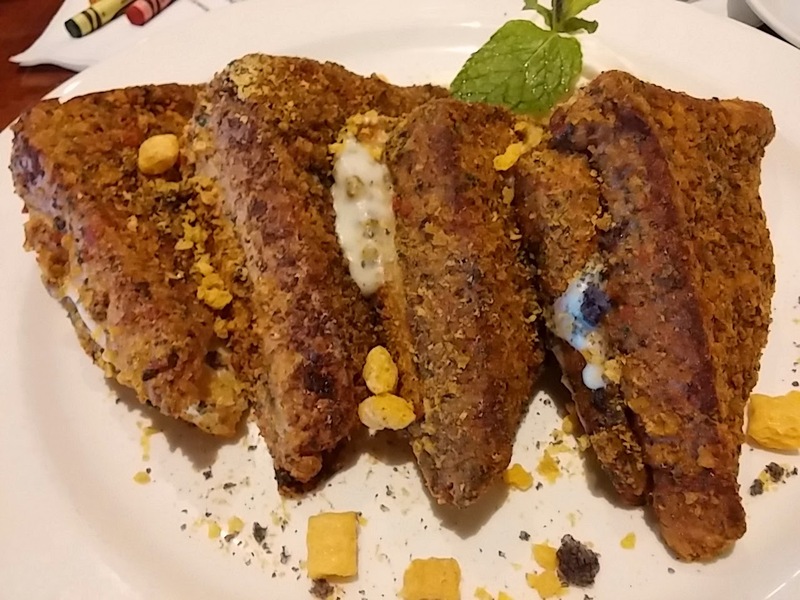 I'd want to try the Cap'n Crunch Crunchberries French Toast.